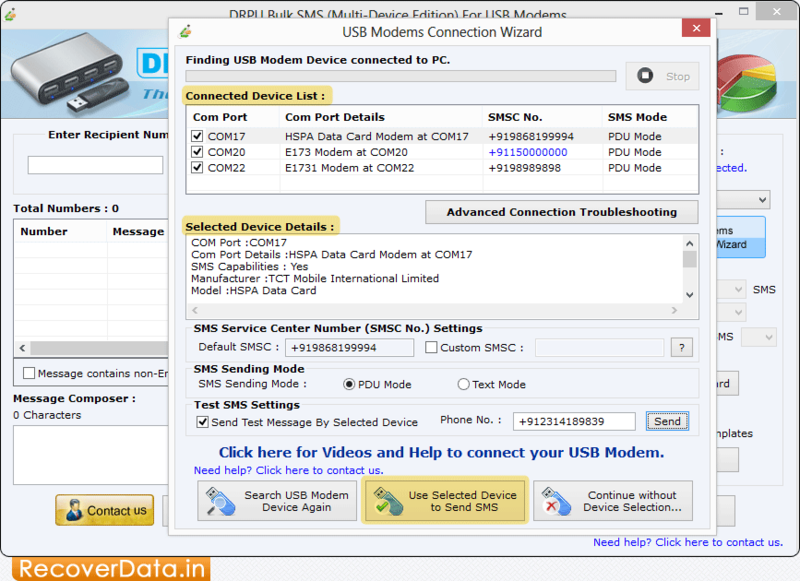 Click on 'USB Modems Connection Wizard' button to connect USB modem with software. 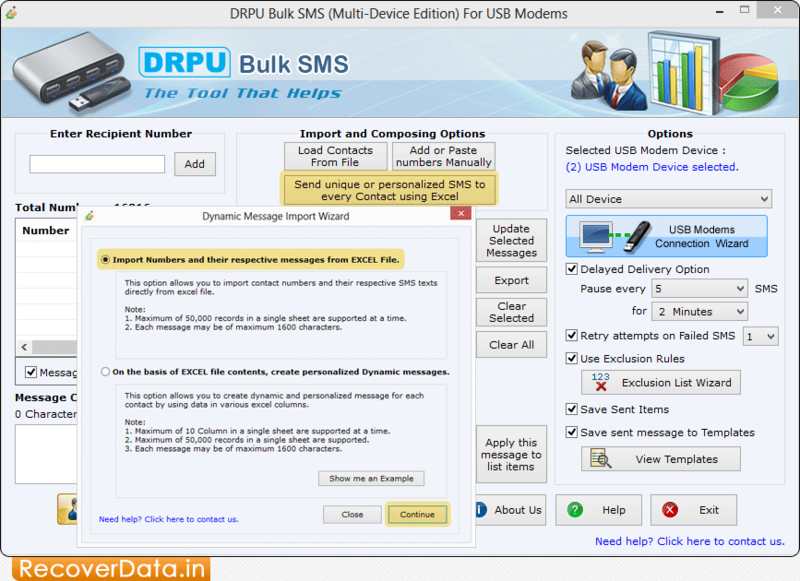 Select Com Port from 'Connected Device List' to view corresponding device details and click 'Use Selected Device to send SMS' option. 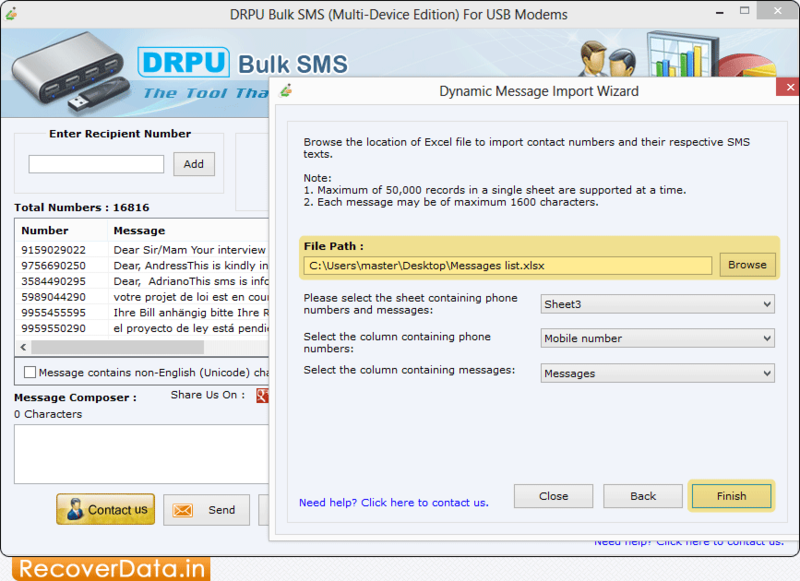 To send unique SMS to every contact then click 'Send unique or personalized SMS to every contact using Excel' tab. 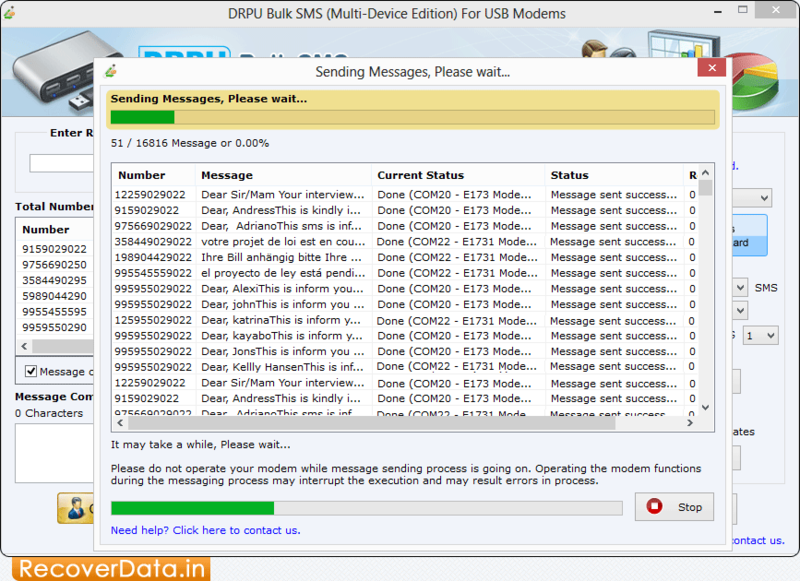 Choose 'Import Numbers and their respective messages from Excel File' option and click 'Continue' button. 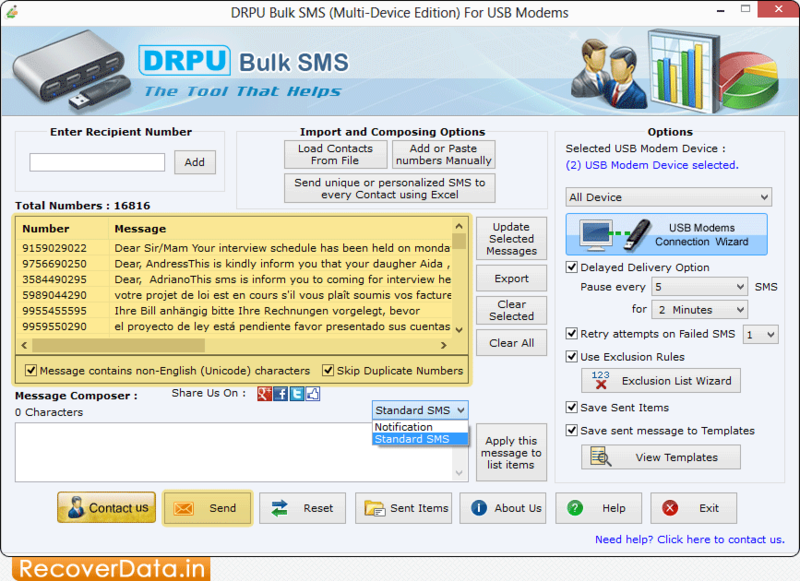 Browse Excel file containing contact numbers and their respective messages. 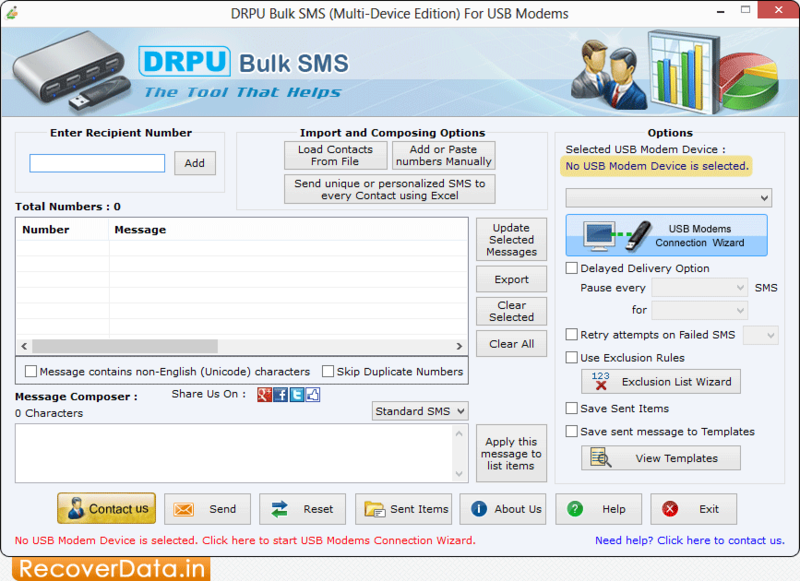 Select 'Import and Composing options' to load contact numbers and messages.